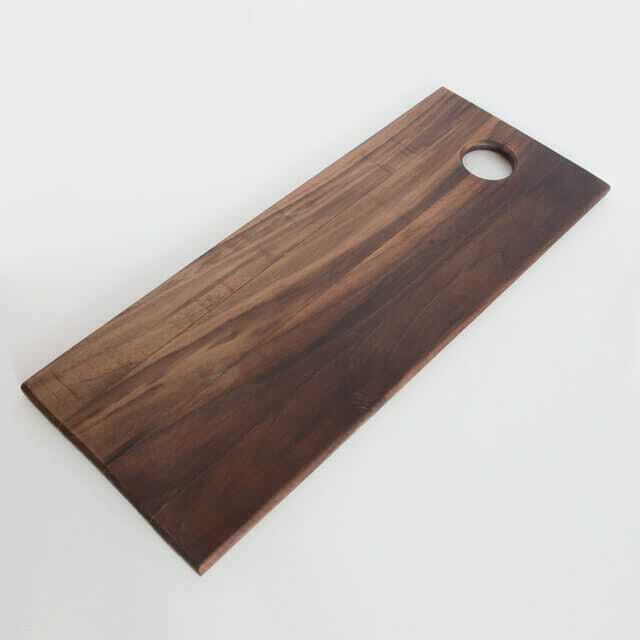 A kitchen essential: the chopping board, handmade from Black Walnut. 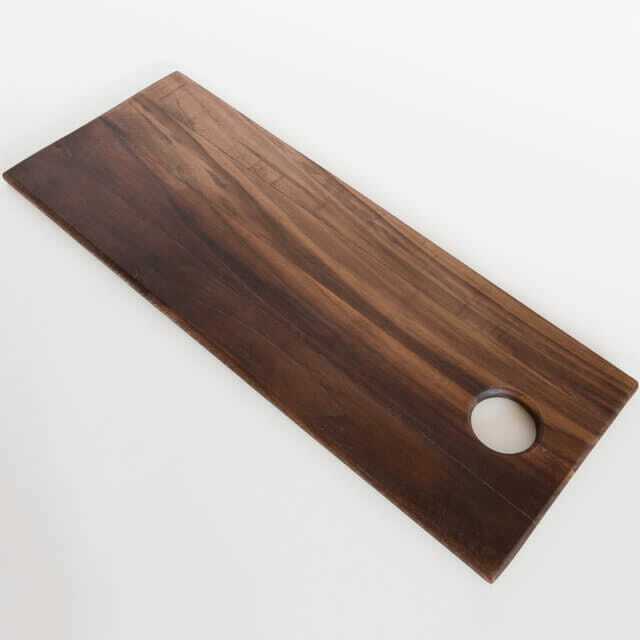 This chopping board is handmade from Black Walnut, which is a lovely, dark and durable hardwood finished with a food safe wax and mineral oil. 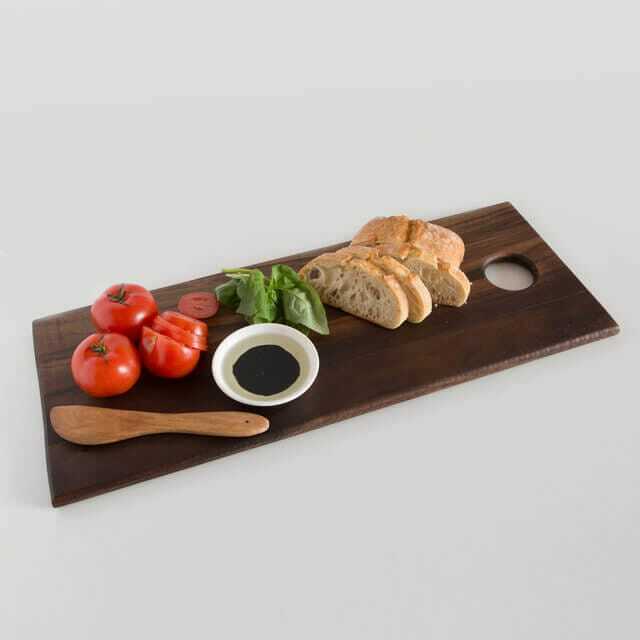 It will age beautifully and be a truly beautiful addition to your kitchen. I’ve had customers not only use this as a handy chopping board but also as a serving platters at dinner parties. 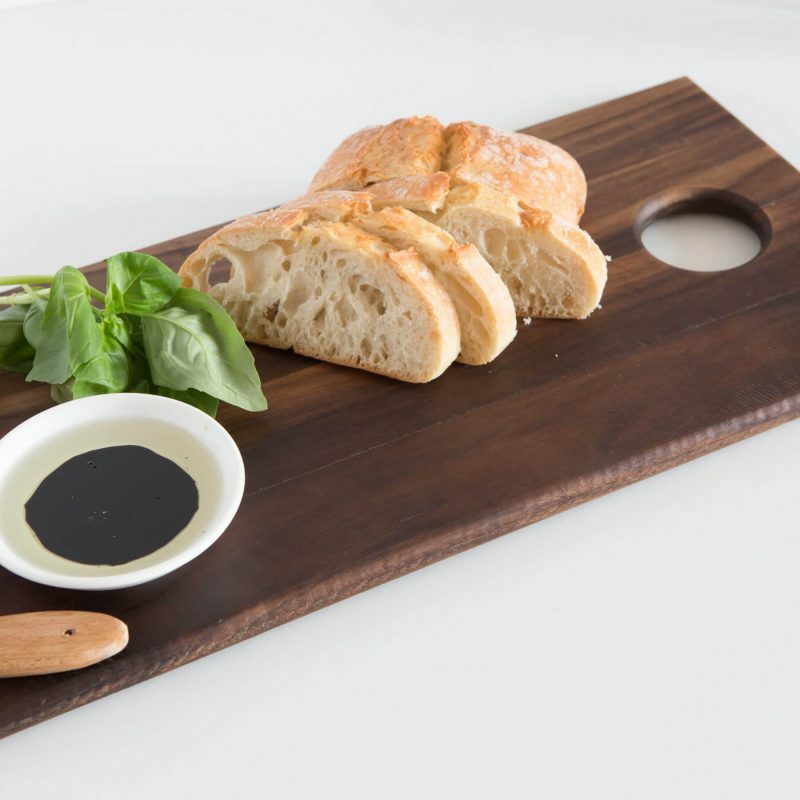 This piece is made from 4 pieces of Black Walnut which have been dowelled and set with a super strength glue to add extra stability and durability to the piece.